Even if your shutters are to remain open, taking advantage of the most suitable hardware gives you the freedom of functionality. But what’s next? You’ll need to know how to measure for shutter hardware. 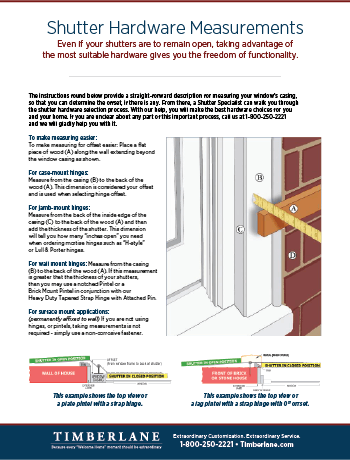 The instructions below provide a straightforward description for measuring your window’s casing so that you can determine the offset, if there is one. Once you’ve taken your measurements, a Shutter Expert can walk you through the shutter hardware selection process. 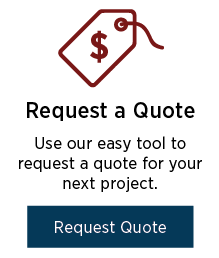 With our help, we can ensure you get the best hardware for your home. 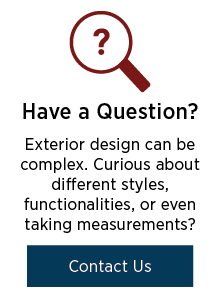 If you are unclear about any part of this process, call us at 1-800-250-2221 and we will gladly help you. TO MAKE MEASURING EASIER: To make measuring for offset easier: Place a flat piece of wood (A) along the wall extending beyond the window casing as shown. FOR CASE-MOUNT HINGES: Measure from the casing (B) to the back of the wood (A). This dimension is considered your offset and is used when selecting hinge offset. FOR JAMB-MOUNT HINGES: Measure from the back of the inside edge of the casing (C) to the back of the wood (A) and then add the thickness of the shutter. This dimension will tell you how many “inches open” you need when ordering mortise hinges such as “H-style” or Lull & Porter hinges. FOR WALL MOUNT HINGES: Measure from the casing (B) to the back of the wood (A). 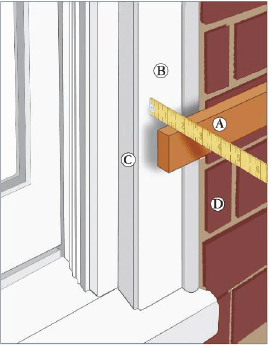 If this measurement is greater that the thickness of your shutters, then you may use a notched Pintel or a Brick Mount Pintel in conjunction with our Heavy Duty Tapered Strap Hinge with Attached Pin. FOR SURFACE MOUNT APPLICATIONS: (permanently affixed to wall) If you are not using hinges, or pintels, taking measurements is not required – simply use a non-corrosive fastener.